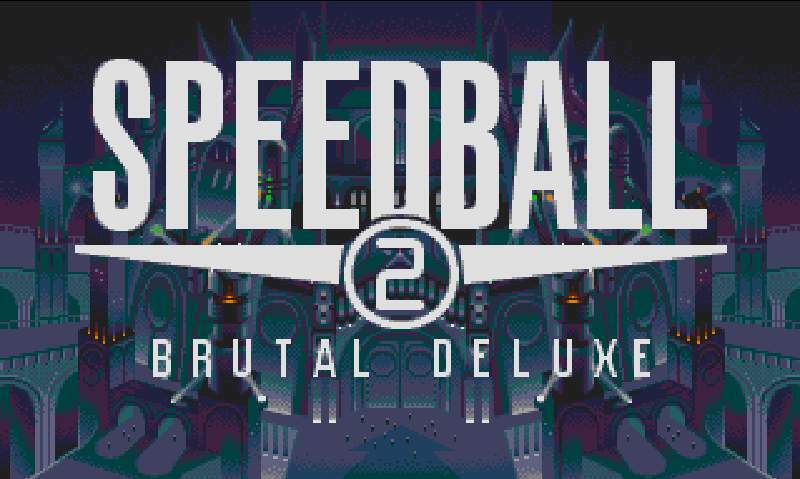 Quite probably the finest example of futuresport in videogame history, Speedball 2 is also one of the greatest games on any of the formats it graced (Amiga, Atari ST, Sega Megadrive amongst others). A cross between handball, ice hockey and basketball, with full body contact absolutely allowed, the game pace was never less than frenetic, the tension and excitement always ramped up. 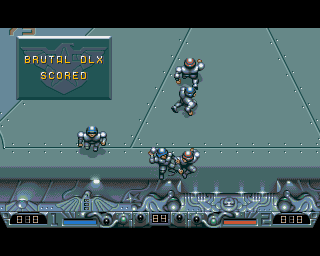 The game rules were simple – you took control of the Speedball team ‘Brutal Deluxe’ as they began a new season in the second (of two) leagues. With 8 teams in the both divisions, the objective is simple – to win as many games as possible to go up into the first division, and while you are at it, build up your playing squad with money earned from playing the game. When you are in the first division, you do the same again, crushing your opponents to top the league and keep earning the cash to build strengthen your existing squad or bring in new additions. Game play is simple to pick up, and this is a big part of the success of ‘Speedball 2’. You basically start with one of your players in the centre of the arena waiting for the small metal ball to shoot up from the centre of the pitch. From there, you need to get the ball before the other team does, and if not, get it off them before they create a scoring chance. You can charge up field, knocking opponents off their feet (or getting knocked off yours, depending on your physical stature and prowess) and try and score by throwing the ball past the goalkeeper into the goal, is a fairly big hole in the wall. A favourite tactic of mine is to throw the ball at the keeper and then charge him, knocking the ball from him and then scoring. That way you knacker the goalie while getting the points. That’s the way ‘Speedball 2’ draws you in – it is not just about winning the game, it is about playing the game. By playing the game, I mean using all the tactics and tricks available to you – so that means trying to wreak as much damage to the other side as possible, and using all the power-ups, coins and armour that litter the playing field. Once you get up to the first division, the game gets really tough, with the likes of Fatal Justice and Super Nashwan being a real challenge to even the most experienced player. You get a maximum of 2 seasons in the game, which is a shame, and the only real downside to a brilliant package. 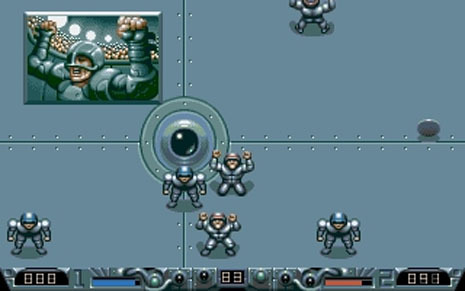 Speedball 2 is one of the finest examples of videogaming – it is simple to pick up, but incredibly difficult to master, but the learning curve is never too steep. Maddeningly addictive thanks to the many options of play (Cup, League, Management etc) the game is still highly enjoyable now. It even made the transition to the Game Boy Advance in 2000, and even works well on that platform. Finally, sit back and enjoy the match as Brutal Deluxe take on one of the weaker sides in the league – Revolver, courtesy of youtube.